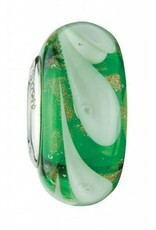 From West Virginia's very own Fenton Art Glassworks comes the "Celtic Feather" bead. 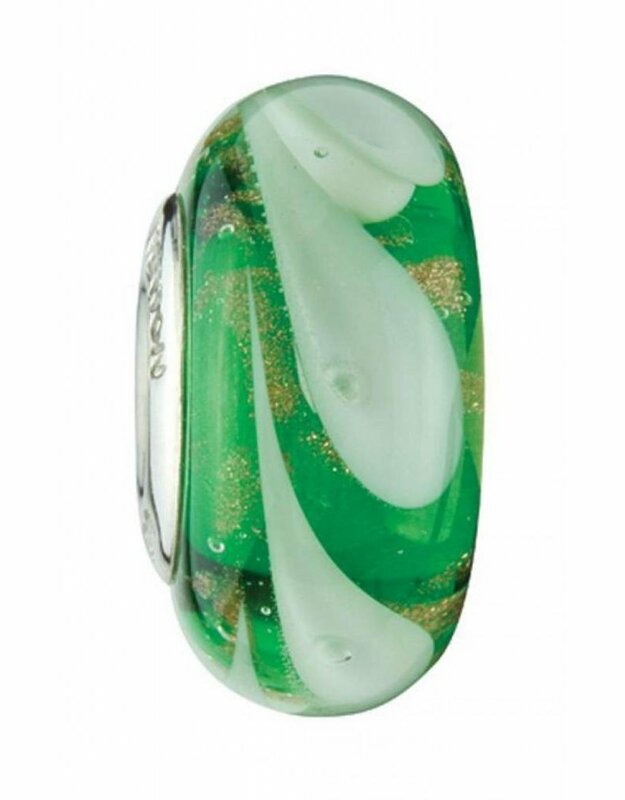 Green glass swirls with flecks of gold to create a beautiful and fascinating design. Fits most current-market bracelets.